My favorite co-author Al Velocci stumped everyone with this photo of a bus built in Queens. Identify the Queens company which manufactured this bus. 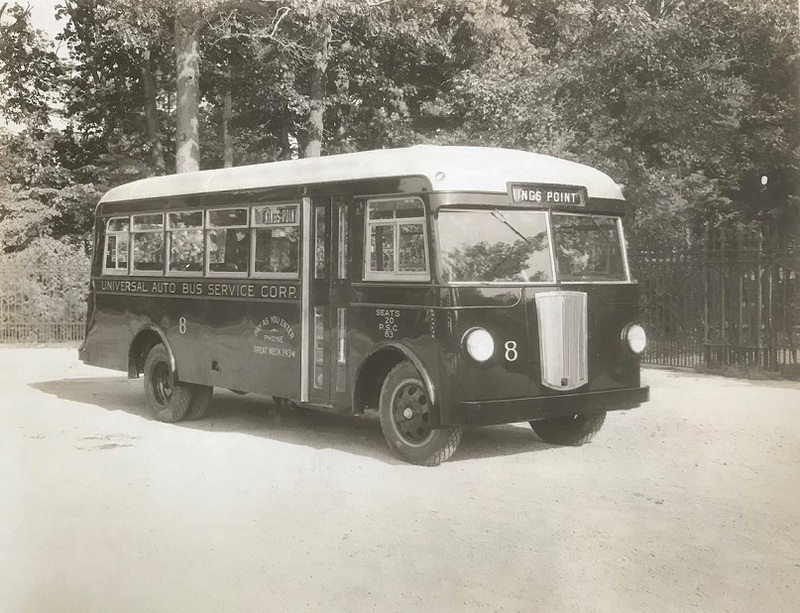 The bus was manufactured by the Callister Brothers of Queens Village in the 1930’s. 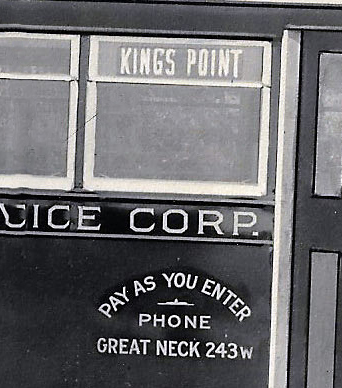 When was this company founded and what was its primary product before buses? The company was originally called the Thomas Callister Carriage & Wagon Manufacturers founded in 1868 by Thomas Callistor.. The company's major product was wagons and carriages. Where was the location of the factory? The company was located on the north side of Hempstead Turnpike just south of Jamaica Avenue. The triangular shaped parcel was bound by the LIRR on the north, Hempstead Turnpike on the south and 217th St. on the east. The name change occurred when they switched over to manufacturing motorized vehicles. Shortly after the bus was built the factory was completely destroyed by fire. The Callister family chose not to rebuild but instead opened an automobile showroom right around the corner on Jamaica Avenue selling at various times Huppmobile, Durant and Peerless automobiles. Kudos question: What was the chassis over which it was built? The company was unique in that they built both the chassis and body, In most cases the chassis is built by one party and another builds the body. Kudos to Al Velocci for stumping everyone! 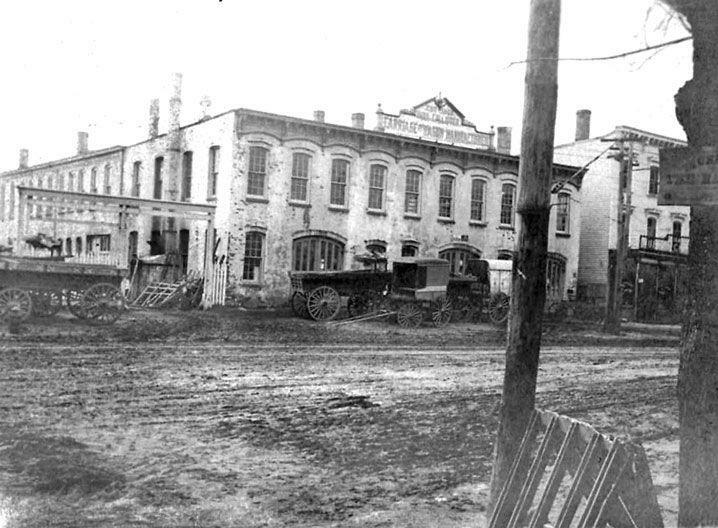 Callister Factory in 1923. Courtesy of the New York Heritage Collections. Frank Femenias: My how this place has changed! This photo looks older than 1923 based on the vehicles, closer to 1900ish. The two buildings across the street still standing! Fun stuff. Jericho Turnpike in Floral Park, NY. In 1973 MSBA came into the picture as king of public transportation. This is a chicken and egg story and is part 1 of this project. make other products such as buses, fire trucks and specialized equipment. The first location was in Brooklyn then to Long island City. As a side note: Artist Peter Helck was a commissioned painter in the 1940’s. Adding some more (all predicated if my original answers are somewhat correct). 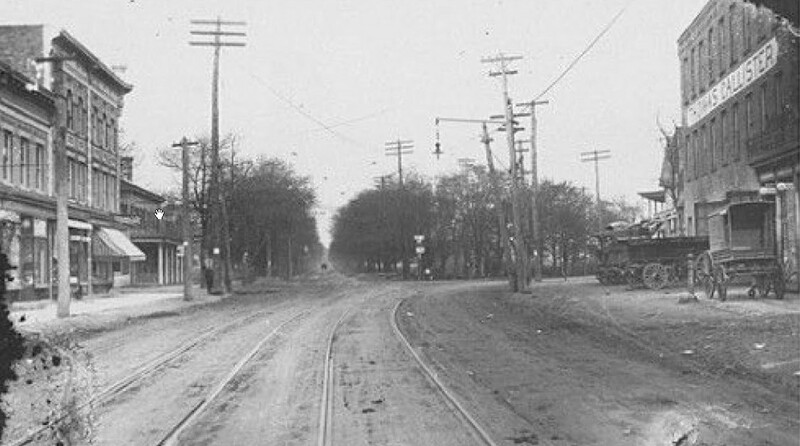 Original purpose of Mack were trolley cars. New hint added to the Mystery Foto. l’m going to guess the bus is from the Steinway (piano) Hunter’s Point Railroad Company (Queens, late 1800s) which had connected various transportation routes in early LIC. Stumped again! Looking forward to the answers. Mystery Foto #3… Lots of research, very little results. I’ll take a stab at it and call the bus a 1940’s Studebaker. Factory located Jamica, Queens. The company had built Conestoga wagons and farm wagons before motor vehicles. 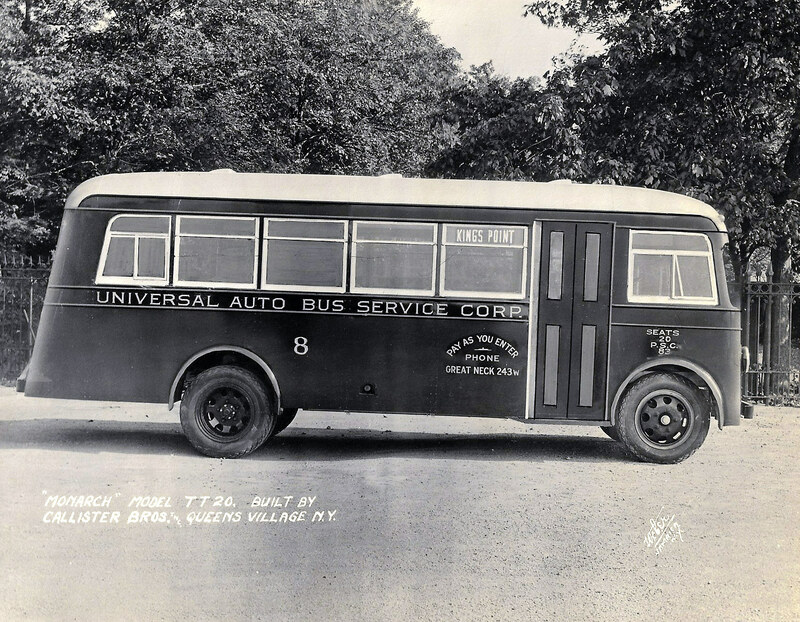 The bus was manufactured by the Callistor Bros. of Queens Village in the 1930’s. The company was located on the north side of Hempstead Turnpike Just south of Jamaica Avenue. The company was originally called the Callistor Wagon Works founded during the 1870’s by Thomas Callistor Jr. and sat on 18 plus acres. The triangular shaped parcel was bound by the LIRR on the north, Hempstead Turnpike on the south and 217th St. on the East. The name change occurred when they switched over to manufacturing motorized vehicles. The company was unique in that they built both the chassis and body, In most cases the chassis is built by one party and another builds the body. Shortly after the bus was built the factory was completely destroyed by fire. 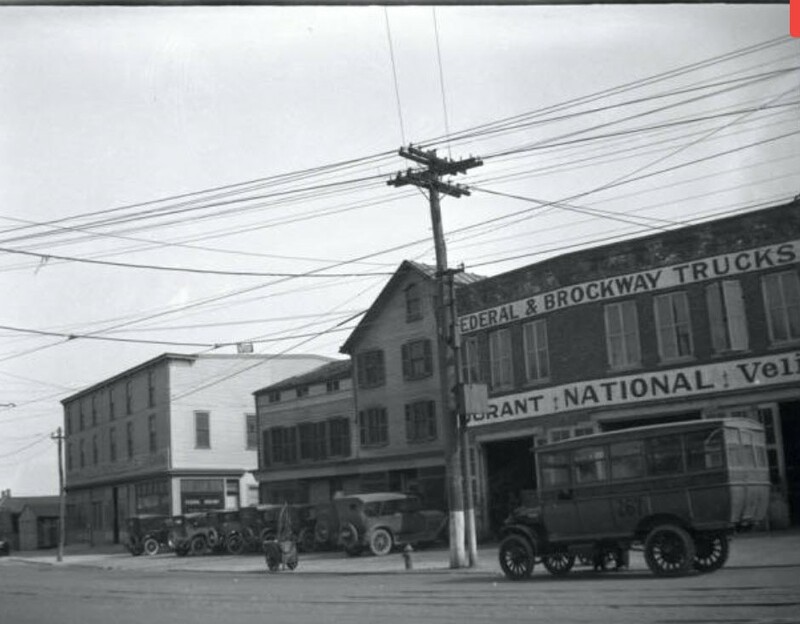 The Callistor family chose not to rebuild but instead opened an automobile showroom right around the corner on Jamaica Avenue selling at various times Huppmobile, Durant and Peerless automobiles. The new hint provided my guess that this was manufactured by Thomas Callister’s carriage and wagon factory, Jamaica Avenue and Hempstead Turnpike, Queens Village. I didn’t get it completely right. The 18 plus acres was where they started. There came a time they moved to Jamaica Ave. ( (1912) ? The older location became a material storage yard and parking for finished wagons. Update: Frank Femenias has added a Then & Now photo.